Click here to use our map to find a farm or ranch near you, or browse the alphabetical list below. Find local restaurants, markets and stores that sell grass-fed products on our Michigan Beyond the Farm page. A1 Country Girl Beef is a four generation farm raising grass fed beef for your freezer. No foreign substances used in growth of animals or in processing of animals. No additives to tenderize beef during processing. Meat is properly aged and cut and wrapped ready for your freezer. A1 Country Girl Beef, Charlene or Bob, 9717 Yale Road, Greenwood MI 48006. (810) 387-3729. American Heritage Farm is a fifth-generation family farm specializing in heritage grass-fed meat from endangered breeds of livestock. We are committed to producing healthy, great tasting, grass-fed, pasture-raised meat that's been raised "old style," which means letting them forage for their food as much as possible. We've intentionally chosen breeds that are either threatened or critical on the The Livestock Conservancy's Conservation Priority list to preserve these breeds for future generations. We are currently offering 100% grass-fed beef from our Red Poll and Angus cattle. Sold by the whole, half or quarter side, or USDA-certified, pre-packaged cuts. Our cattle are completely pasture-raised on a natural diet of grass and home grown hay. They are given no grain, no antibiotics, no growth hormones and no medicated feed EVER. Our pastures are all naturally fertilized. NEW! We are now taking pre-orders for whole, half and quarter beef. Please check our website for further information. All individual cuts of beef are sold by the pound from our licensed farm store. Hours are by appointment. Please check our website for the current price list, instructions on how to place your order and any specials. Beery Farms of Michigan LLC is an 80-acre farm on which I raise all-grass-fed beef and goats. The farm is operated in the Argentine grazing style using a diverse array of perennial grasses and summer-winter annuals to meet the year-round forage needs of the animals. Like the Argentines, the paddocks are divided to provide both annual and perennial forages simultaneously for an always fresh high quality diet. By using stockpiling in the fall and early greening small grains in the spring, it is only necessary to feed hay and haylage during the most severe winter months. The farm is in the third year transition to Organic Certification. It is located just south of Lansing and visitors are always welcome. Beery Farms, Growers and Purveyors on Only Things Grass Fed. Beery Farms, Maynard Beery, 849 N Aurelius Road, Mason MI 48854. (517) 676-4686. BF&E Organics—See Boughan Farms & Enterprise below. Bluewater Beefmasters is a family-owned cow-calf-to-finish operation located in northern St. Clare County. All cattle are born and raised at the farm, maintaining a closed herd. Cattle live on rotated pastures in the spring, summer, and fall, and are fed hay during the winter. They are never fed grain. We use no antibiotics, steroids, or implants of any kind, and we strive for a stress-free environment. Dry-aged grass-finished beef is available in the fall as supplies last. Please call for availability. Pick up only; we do not ship. Bluewater Beefmasters, Roger and Debra Phillips, 8790 Oatman Road, Avoca MI 48006. (810) 387-3482. Boughan Farms & Enterprise—better known as BF&E Organics—is located inthe thumb of Michigan, approximately 20 miles north of Imlay City. Our family has been farming here since the 1950s. We started working toward our organic certification in 1992, through OCIA (Organic Crop Improvement). We have a beef cow-calf operation with registered Shorthorn cattle. The cattle are born and raised on our farm until ready for market. We also raise sheep, with the Dorper being the breed of choice. They are a very hardy breed with mild tasting meat. The lambs are born and raised on the farm until ready for market as well. We also raise free-ranged meat chicken and chicken eggs. All of our animal products are certified organic and our beef and lamb are 100% grass-fed. They are raised in a stress--free environment the way nature intended it to be. We encourage people to come to the farm. We feel it is important to know where your food comes from and we are dedicated to doing our very best in raising healthy, local, organic food. BF&E Organics, Doreen Wilcox, 5119 Barnes Road, Clifford, MI 48727 or 5331 Peck Road, North Branch, MI 48461. (810) 531-6823. Brown Sugar Jerseys is located in northwestern St. Clair County, 2 miles south of Yale, Michigan. We are a family-owned and operated farm consisting of 430 acres of tillable pasture and woodlots. We have approximately 70 acres of permanent pastureland and rotate our cropland with clover seedings which we bale as high-moisture hay (preserved pasture) for feed for the winter months, and also graze those clover fields. We raise about 20 calves a year and have about 20 grass fed steers to offer annually. We have been dedicated to raising polled grazing jerseys since 1983. From birth through 6 months of age our calves are fed 1/2 pound per head per day of non-GMO corn. After 6 months of age, they eat only fresh pasture in the growing season, and high-moisture clover hay in the non-green season and free choice minerals always, absolutely no grain. The meat, fat, and marbling of jerseys that eat clover pasture or high-moisture clover hay has a special sweet flavor. The fat is yellow because of the high beta carotene. Our steers are fully 2 years old before slaughter for full flavor. Jersey and Clover, the winning combination! Our jerseys are humanely raised and handled; there are no hormones, antibiotics, or medicated feed in their diet. Housing and nutrition are age- and weather-appropriate, with the emphasis on grazing, working with Michigan's climate and growing seasons. Our animals' health and comfort are always top priority. We sell by the 1/4, 1/2, or whole cow. Please call for pricing and availability to reserve your beef today. Pickup only, we do not ship. Brown Sugar Jerseys, Mary Smith, 11542 WIlkes Road, Yale MI 48097. (810) 387-3007 or (810) 304-0290. CloverDale Farms is a small family owned, pasture based operation dedicated to offering the highest quality grassfed beef available. Belted Galloway cattle are the breed of choice here at CloverDale. The ability of this breed to thrive on lush pastures and convert this forage to muscle without the use of grain makes it possible to raise and finish these cattle on 100% grass alone. Farm fresh eggs from our free range pasture fed chickens and pork from our hogs raised in the good outdoors are also available. The grain used to feed our chickens and pigs is also grown on our farm without the use of pesticides and herbicides. Our grassfed beef and pork are available by the whole, half, and individual cuts. Please call for availability as we don't keep a large quantity on hand. Clover Dale farms is not a super market selling a product that we didn't produce. When you purchase our products you know exactly where your food is coming from, how it was raised, and what was fed to the animals. Our customers are always welcome to CloverDale Farms to visit our operation. CloverDale Farms, Travis and Trica Bartholomew, 11375 South 37th Street, Scotts MI 49088 49088. (269) 626-0030. Creswick Farms is "dedicated to raising healthy, happy animals—lovingly cared for just as Mother Nature intended—which provide high energy, nutritious and delicious food sources for health-conscious individuals." At Creswick Farms, we guarantee our animals are raised without antibiotics or growth hormones. This promise is your assurance that our products meet a higher standard for natural: they are truly naturally raised. The animals enjoy non-herbicide/chemical fertilized pasture and are supplied free choice with organic minerals and kelp. Soy is not used in any of our feeds and only Tamari, non-Gmo & gluten-free soy sauce is used in our BBQ products! We pride ourselves in offering hard to find items and unique, handcrafted artisan meat products (including Bacons, Jerkies and BBQ items). Our meats are processed in a family-owned slaughterhouse and are vacuum-packed to preserve freshness and improve shelf life. Many families rely on us for their Beef, Pork, Turkey, Chicken and Eggs, and a large portion of our clientele reside in the Detroit and Chicago areas. We are located within a 2 ½ – 3 hour's drive of each city. We also have scheduled deliveries and pre-determined meeting points in Grand Rapids, Lansing, Brighton, Novi, Kalamazoo, Muskegon, and Holland. We always welcome visitors at our farm as we enjoy showing customers how our animals are nurtured to nurture us in the future. We especially enjoy children, who enjoy learning about the animals and their relationship to our food sources. Our hours are Wednesdays: 12–6pm, Thursdays: 12–5pm, Fridays: 12–5pm and Saturdays 10–3pm. Please call or e-mail for informational brochure. Creswick Farms, Andrea & Nathan Creswick, 6500 Rollenhagen Road, Ravenna MI 49451. (616) 837-9226. Welcome to East River Organic Farm. We are a diversified and certified organic farm in the middle of the thumb of Michigan, near Sandusky. We are certifed with ICO (Indiana Certified Organic). We have a 30 member CSA that we use to distribute most of our organic vegetables. We also have grass-fed, organic Devon beef, organic pork, chicken, eggs and turkeys. Please check out our website for more details and updates. East River Organic Farm, Les Roggenbuck, 440 N Wheeler Road, Snover MI 48472. (810) 404-1723. Eby Farms is a small beyond-organic family farm in southwestern Michigan and we have seasonally available beef, chicken and turkey. Eggs, homemade soap and body products are available year-round. All our products are antibiotic and hormone-free and the farm is open to all to visit and verify production practices. Grass raised and finished Beef. We offer spring and fall beef from our herd of Scottish Highland and Jersey cows. These intentional/rotational grazed animals offer superior taste and nutrition. They are fed pasture during the growing season and stored forages during winter plus free access to salt and kelp. Chicken & Turkey. Broilers and turkeys are grown in pasture shelters once old enough to be outside. They are moved daily to fresh pasture and are fed free-choice non-GMO feed. Broilers are available seasonally in three separate batches during the growing season by pre-order only. One batch of turkeys are available by pre-order for Thanksgiving. Eggs. Laying hens are housed in a portable egg-mobile for the warm season and follow the cows around on their pasture rotation. Also fed free-choice non-GMO feed. Loose-housed over winter with deep litter bedding. Farmers Markets: Skip's Farmers Market: Meat available here for pre-orders and eggs available on-site mid-May through mid-October, Sundays 9 am to 3 pm. All of our products are available on our farm in Cassopolis, Michigan and some products available through local retail stores. Please contact us or check our website for a full list of locations. Eby Farms LLC., Jennifer Eby, 56641 Glenwood Road, Cassopolis MI 49031. (269) 535-6857. Egly Land & Cattle, 100% Natural Grass Fed Beef is 100% grass fed AND grass finished. The Egly farm is conveniently located in Paw Paw, Michigan in the southwest corner of Michigan. This is also close to Kalamazoo, St Joseph, Niles, New Buffalo, and northern Indiana. We raise Red Devon and Red Devon cross with rotational grazing methods, and they are wintered on our own clover/alfalfa hay. Our goal is to raise our animals in the most natural, environmentally friendly ways possible. We are members of the American Devon Association, and we are certified by the Michigan Agriculture Environment Assurance Program (MAEAP). You may visit our website for more information and find us on Facebook. Egly Land & Cattle, LLC., Rob & Chris Egly, 65701 39th Street, Paw Paw MI 49079. (269) 657-1787 or cell: (269) 370-4228. Flying Fish Farm is a 77-acre family-owned and operated, pasture-based farm located in Monroe in SE Michigan. Although not certified Organic, we utilize organic methods to produce high quality beef, pork, lamb, turkey, chicken and eggs. At Forest Ridge Farms we have created an environment for producing gourmet quality pork that reflects the way pork is produced in Spain. Our pigs are allowed to forage through our oak forest, where there is an abundance of acorns, beach nuts and other woodland mast. They enjoy a free-choice supplemental feed consisting of a vegetarian non-gmo diet. No antibiotics and no hormones. They roam free and live like their feral ancestors. We harvest in late fall/early winter and sell half and whole hogs, and individual cuts. Harvest takes place at a USDA inspected facility that is certified Animal Welfare Approved. Leaf Fat and Fat Back – great for rendering and making wild game sausages. Shipping available. Locally raised. Direct from the farm. Made in Michigan. Forest Ridge Farms, George and Bonnie Klein, Fennville MI 49408. (269) 214-8624. Full Circle Organic Farm - Grass-only lambs, raised on certified organic farm - 400 available. GCC Organics is a family-owned and operated Certified Organic Farm located in Central Michigan. We raise our animals humanely with care and love. We offer 100% Grass-Fed, Grass-Finished Organic Beef, Organic Chicken, Organic Turkey (Thanksgiving season), Organic Eggs, and Organic Pork. All of our products are pasture raised. No antibiotics or hormones are used. Only non-GMO Certified Organic feed is used for our poultry and pork as a supplement. GCC Organics products are available at many locations including on farm sales and online shopping via our website (gccorganics.com). We participate in the Mount Pleasant Farmer's Market, City Market in Bay City, and Meridian Township Farmer's Market. GCC Organics believes you should know your farmer, know your food. We always welcome visitors to the farm with an appointment. Grass is Greener Meats and Produce, LLC is located in northeast Marshall County, IN adjacent to St. Joseph, Elkhart and Kosciusko counties; within an hour from South Bend / Warsaw / Columbia City / Elkhart / Valparaiso / Peru, and approximately 1 hour from Michigan (Niles/Edwardsburg). We offer seasonal fresh vegetables and brown eggs, pastured Red Wattle pork, and grass-fed Jersey beef, Red Poll beef and St.Croix lamb. Our pastured poultry features Freedom Ranger chickens which have the rich flavor of a stewing hen and tenderness of a young chicken. In addition to chickens, we raise Bourbon Red turkeys, Cayuga ducks, and Pilgrim and American Buff geese. Animals that receive supplemental grain (poultry, waterfowl and hogs) are fed only non-GMO rations; herbivores are intensive rotationally grazed during the growing season and fed high quality grass hay during the winter. Pork, beef and lamb are available year-round in our farm store priced by the cut. Meat CSA shares are available May thru December. Please call for store hours or more information. Grass is Greener Meats and Produce, LLC. John and Toni Rowe, 2760 4C Road, PO Box 321, Bremen, IN 46506. (574) 209-6371. Green Leaf Farms is a fourth generation family farm. Our livestock is raised to be naturally healthy. They receive no growth hormones, animal by-products, or antibiotics. Our beef are exclusively grass fed. This provides for a meat high in Omega-3 and CLA. Our turkeys and chickens are free-ranging and taste like the ones grandpa used to raise. Our vegetables are all-natural—no man made fertilizers or herbicides or insecticides are used on our garden. I invite you to visit our website for further information. Green Leaf Farms, Dana Dvoracek, 04998 Loeb Road, Charlevoix MI 49720. Our beef is raised on pasture with their mothers for several months. Legume, pastures and annuals such as turnips, oats, cereal rye are used. Cattle are grazed into November–December, then fed high quality hay and baleage through the winter. We are not certified organic but we farm using most organic practices and in a sustainable conscience manner. No growth hormones, antibiotics or animal by-products are used on our farm. Beef is sold by the whole, half, ¼ or by individual cuts through our licensed warehouse store. We also use a pasture based system to raise our chickens, turkeys and pork. Their feed is supplemented by NON-GMO grain. No antibiotics or growth hormones are used. All animals are raised on "dirt," giving the animals access to green pasture and bugs. Fresh turkeys are available for Thanksgiving. Chicken is available frozen all year round. Freezer beef is available all year round. Pork is available most of the year. Please call for availability. We welcome (by appointment) farm visits to tour our piece of heaven to make your own judgement. New! Available November 3–16. Soy-Free, non-GMO fed chickens. Call us for more information. Guindon Farms is a fourth generation family owned beef farm. All crops and pastures are certified organic by OCIA and we are Certified Naturally Grown. On Guindon Farms cattle are raised naturally without hormone implants or antibiotic feeds. Cattle are treated humanely and have access to pasture year around. Fresh water is supplied to all pastures in the summer to assure their comfort. We offer grass-fed cattle which are finished on intensively managed, high-quality pasture and hay that is certified organic and we grow ourselves. During the winter months cattle are fed exclusively certified hay and baleage that is certified and grown on the farm. Our first certified calves will be born in spring of 2010. Our Limousin cattle are very efficient at converting pasture grass into muscle and have lent themselves well to producing a healthier carcass which is enhanced with the grass finishing. All beef is humanely processed at Rainbow Packing, a local processing plant; they are a family-owned, USDA-inspected facility, where meat is cut to order. We are committed to personal care of our cattle, our land, you our customer and to being a partner in sustainable agriculture. We encourage farm visits anytime. Guindon Farms, Matt and Barb Guindon, 9111 Cty 416 H Road, Cornell MI 49818. (906) 384-6517. Heart Healthy Natural Beef has been a family farm since 1917. When my father passed away in 1999, we either had to get bigger, get out, or go into a niche market. Niche market it was. We had 300 cows at the time and I let nature sort out the best cows for grass fed beef production. I started raising and direct marketing grass fed beef in 2001 and learned much over the years on what it takes to produce good beef while keeping prices down. Though trial and error, I have developed a simplified standard cut that most customers follow but you can have it cut your way. My HANGING WEIGHT price for fall 2018 is $3.25 per pound for a half and $3.20 per whole. Processing at Countryside Quality Meats is 48 cents per HANGING WIGHT pound, plus a fixed $45 disposal and kill charge per beefer. When it is all said and done, with everything included, the out the door TAKE HOME price works out to around $6.24 per pound, depending on beefer size and if using my standard cutting order. If you get more cuts with the heavy bones left in, then the take home weight will add up faster and more freezer space will be used. We are coming off record high beef prices the last few years so prices are now lower than 2015 prices. It is common to find that websites' prices are not being updated, so please verify current beef prices regardless of where you purchase your beef. My website is really old. Please email or call me and I will send more advice about grass fed beef, the beef order sheet with explanations, info about meat processor differences and a copy of an old beef order with all the results tabled. Heart Healthy Natural Beef, Melvin Midlam, 21241 23 Mile Road, Olivet, MI 49076. (269)781-8030. Honeybird Farm's focus is raising grass-fed, pastured, and forest-fed meats. More than farmers, we consider ourselves in partnership with our animals, land and local ecosystem. We are excited to share the results and abundance of this relationship with you! Pasture-based. Our animals spend their lives unconfined and rotating through our grassy paddocks and forests. OUR PRODUCTS: Honeybird Farm raises pastured, non-GMO, soy-free chickens and Thanksgiving turkeys; non-GMO, soy-free forest raised pork; and grass-fed lamb and beef. We sell by the quarter, half, and whole animal, and we also sell individual cuts of meat. Quarter, half and whole animals are sold ahead of time and require a deposit to reserve them. Product pricing is available on our website. HOW TO ORDER: Honeybird Farm is present at the Rockford, MI Farmers Market every Saturday during the summer and fall, and the on-farm store is open every other weekend for farm pickups during the spring and winter seasons. Larger orders of quarter, half, or whole animals need to be reserved ahead of time and require a deposit. Please call or email to order meat, ask questions, and schedule a pickup or drop off. WHY "HONEYBIRD FARM": We named our farm after a beautiful mutualistic relationship that has existed between honeybirds and humans for thousands of years. The birds love to eat the wax combs inside these bee hives, but they can’t crack the hives open by themselves. So they enlist the help of humans – the honey guide will give its signature chirp to get a human’s attention and then lead the human to the hive. Upon finding the hive, the human will crack it open to get the honey and leave the wax, and both parties benefit. Honeybird Farm, Jonathan Sowder, 16601 Shaner Avenue, Sand Lake, MI 49343. (616) 826-0733. We are currently establishing pickup points in Michigan. Contact us about starting a buying club in your neighborhood! Honored Prairie, Blaine Hitzfield, Roanoke, IN. (877) 997-9449. Jake's Country Meats is a 6th generation family farm dedicated to becoming "Your connection to Your Food." We raise antibiotic-free and pasture-raised pork, chicken, and turkey, along with 100% grass-fed beef. Our farm is Animal Welfare Approved and we strive to preserve and better the land for future generations. We also partner with others to bring our customers responsibly-sourced Wild-Game Meats and Wild-Caught Great Lakes Fish. We sell our products all year-round through on-farm sales, farmers markets, stores, distributors, and restaurants. We work closely with our customers to bring you high quality products every single time you buy. We offer bundle packages with bulk discounts for our CSA and we also sell products by the individual cut. Email or call us for more information. Jake's Country Meats, Renee Robinson, 55721 Decatur Road, Cassopolis, MI 49031. (269) 445-3020. At JNelson Farms, our vision is to provide healthy food to help people live a healthy life. As well, we want to be good stewards of the land and use it in a sustainable manner. JNelson Farms is owned and operated by Jon and Tammy Nelson and is located about 8 miles northwest of Midland, Michigan on Stark Road. We have 260 acres of pasture land to support our herd of grazing cattle. Our cattle enjoy the pasture all year long. In the summer, forage is harvested from additional land for the cattle to eat in the seasons when pasture growth isn’t adequate to supply their nutritional needs. Just in case there are needed minerals or vitamins they are not receiving from the pasture, they also have these available as free choice supplements. We work very closely with Michigan State University to utilize the latest research around grazing and land management. In addition to the farm owned by Jon and Tammy, JNelson Farms also represents an informal cooperative community of producers throughout Michigan who have a common vision to use their resources and capabilities to provide healthy food for people who want it. The goal of the cooperative community is to coordinate the producing interests of our cooperators to develop a supply chain that can provide large enough numbers of animals to entertain the demand of larger organizations. Each producer follows the same production protocol as Jon and Tammy's home farm. Different roles that our cooperators play include: supply of yearling cattle, contract grazing, hay supply. JNelson Farms has high quality grassfed beef available year round. Please contact us if you would like some. We look forward to helping you and your family enjoy the benefits of grassfed beef. JNelson Farms, Jon Nelson, 4240 North Stark Road, Hope, MI 48628. Joe's Grass Fed Beef — We sell quality grass fed beef year round. Call, email or visit our website for current availability. We raise happy, stress-free cattle. Our cattle graze leisurely in rotational pastures during the spring, summer, and fall. Dry hay is fed during the winter months. We do not feed grain at any time. We do not use pesticides, herbicides, fungicides or chemical fertilizers on our pastures. We do not use antibiotics, steroids, or any growth hormones. Our ground beef produces a delightful aroma and a taste that has to be experienced. The best value is to purchase a whole or half. Check our website for current prices. A deposit by mail of $200 per whole ($100/half) payable to "Joe's Grass Fed Beef" will reserve a steer for slaughter. Final payment is requested before you pick up your order from the processor. Smaller sample packages, individual cuts and ground beef are also offered. Order information. Cell: Carol (541) 761-9191 or Ed (989) 777-3020. See our beef online at: https://www.youtube.com/watch?v=prlFvlvC5NA. Joe's Grass Fed Beef, Edward Lysogorski, Mail: 6822 Dixie Highway, Bridgeport, MI 48722. Family-run farm: 2235 Setlak, Standish MI 48658. Phone/Fax: (989) 777-9070. John Henry's Meats offers grass fed, locally raised, hormone- and antibiotic-free Beef, Pork, and Poultry (chicken and turkey). Grass fed, pastured, happy animals that are better and healthier for your family. We follow organic practices but are not certified. John Henry's Meats, Alicia Handlin, 4509 Park Street, Millington MI 48746. (989) 302-3366. Julian of Norwich Farm. 100% Grass-Fed Beef, $5/pound. 100% Grass-fed raw milk—NO GRAIN! High butter-fat content. $5/gallon. Our philosophy is uncomplicated: Simple, local, real food using totally natural inputs, raised with compassion and well-being of the planet in mind. JoN products are not certified—the best certification is our customer relationships and transparency; we try to go beyond organic labeling standards. Delivery or pick up available. Also find us at the South Bend Urban Farmers Market on Portage Avenue. Julian of Norwich Farm, Matthew Insley, 23150 Roosevelt Road, South Bend IN 46614. (574) 386-7817. The Lake Village Homestead grew out of an environmentally oriented educational research program, originally motivated by B.F. Skinner's book, Walden Two. Presently this extended family co-op occupies a mile and a half of lake shoreline and approximately 300 acres. The 120 acres of lake- front is owned by a non-profit corporation dedicated since 1971 to living, teaching and modeling sustainable agriculture as well as preserving natural habitat. Cattle, goats, chickens and hogs are free-ranging in various pastures. Goats receive some supplemental grain while lactating. Hogs and chickens have access to grain as well as pasture. Cattle graze in the warm weather and are fed hay in the winter. Animals are grown hormone- and antibiotic- free. All gardening and pasture management is done without chemical fertilizers and herbicides. We offer grass-fed free-ranging beef, free-ranging pastured pork, eggs from free-ranging chickens, goat milk, cheese, honey, maple syrup, popcorn and vegetables in season. All products are available on the farm and may be obtained by purchasing food shares with discounts being offered to Associate Members. Associate Membership: Individual $120/year; Family $200/year. Members are free to visit the farm as they wish, grow vegetables in the garden, walk miles of trails, lease horses for trail riding, as well as participate in farm gatherings. For more information, visit our website, or call (269) 808-2529 to make an appointment for your first farm visit. We also offer interactive farm workshops for all ages and group sizes. Environmental and land preservation consulting is also available. Donations made to support our various programs are tax deductible. Lake Village Homestead Farm, Tony Kaufman, 7943 South 25th Street, Kalamazoo MI 49048. (269) 323-3629. Fax: (269) 329-0788. Laura’s Little Beef Farm LLC is a family run operation at our home. My wife and I began this quest early in 2005. Our first order of business is to raise meat in a manner that we would be proud to provide to friends and family. Preparing lush green pasture using recommended practices found in Jo Robinson’s book, Pasture Perfect and Allen Nation’s book, Quality Pasture really helped. We searched long and hard for feeder steer to start our herd. We invested in heifers and cows to start calving to build our herd. The steer we raise meet all of our requirements of no growth aids, steroids or antibiotics. They are raised on our beautiful green pasture which receives no chemical pesticides or fertilizer. When the pasture salad won’t support their needs we supply them with quality hay. All of our fencing is smooth, high tension wire so there are no barbs to stick the cattle, therefore reducing stress for our animals. Your meat is slaughtered and dry aged then wrapped, labeled and quick frozen in a family owned, USDA approved slaughterhouse/ butcher shop close to our home. We are located less than an hour from northeastern Detroit. You are welcome to visit our farm, just give a call and make sure we’re home. Don’t be alarmed if you pull up to our pastures and you find us singing and talking to our animals. We have found this to be very beneficial to a calm, healthy animal. We sell our meat by quarter, half, whole, or special steak/burger orders but we are not a supermarket or butcher shop. I would be happy to discuss your family's meat needs with you to see if we can help you fill them. We have customers that only want the steaks and burger from the whole animal but then want the rest donated to needy families, we do that. Laura's Little Beef Farm LLC, Edward and Vee Laura, Owner-Operators, 1458 Mayer Road, Smiths Creek MI 48074. (810) 355-5073. The Lavender Fleece is a small family farm that has been raising purebred, grass based Icelandic sheep since 1999. We are now offering on a reservation basis, pasture grown lamb by the 1/2 or whole. During the winter our sheep eat hay produced from the fields surrounding our farm. We do not feed our sheep grain. Processing is done by an organic processor within 30 miles of our farm. Our sheep are rotated through lush hay fields that are not chemically fertilized and moved every few days through 12 different paddocks. No herbicides or pesticides have ever been used on our farm. We also offer quality Icelandic sheep breeding stock. We sell pelts, raw fleeces, roving and yarns, all produced without chemicals. We also have a lavender display garden and offer lavender plants from April through May. Additionally we raise Icelandic sheepdogs and take reservations before breeding a litter. The Lavender Fleece, Laurie Ball-Gisch, 3826 N Eastman Road, Midland MI 48642. (989) 832-4908. Livingston Farms was established in 1902 and is a fourth generation farm that is highly diversified. We currently offer mint oils, mint compost, pure maple syrup, and beef. Here at Livingston Farms we strive to produce the finest products for our customers. Our beef is all natural and grass fed. These animals do not get hormones, concentrates, or any other additives. In addition to being lower in overall fat and saturated fat than grain-fed beef, grass fed beef is higher in healthy omega-3 fats. We currently sell our grass fed beef for $3.50/lb hanging weight. Our animals are sold by the 1/4, 1/2, 3/4 or whole animal. In addition, we carry a small quantity of retail grass fed ground beef and other items such as snack stix and summer sausage. Please refer to our website for the most up to date products and availability. Livingston Farms, Eugene A. Livingston, 2204 Livingston Road, Saint Johns MI 48879. (989) 224-6685; Grass Fed Beef Orders: (989) 640-7391. Melo Farms is a small, 40-acre, husband and wife farm in Yale, Michigan. Started April, 2010, we are committed to and practice natural farming including rotational grazing, grass-based animal husbandry and humane handling of our heritage Berkshire pigs. We have locally sourced our supplemental feed from our neighbors and avoid hormones, GMO modified grains, antibiotics and farrowing crates. We specialize in this wonderful heritage breed and are members of the Berkshire Pig organization and our herd is fully registered. Our pigs have a life and live well so we can also. We also raise free range chicken in small flocks, see website for availability and order form. Our products are also available through the Dibbleview Food Co-op. Melo Farms, Melody S. Nye, 6187 Connell Road, Yale, MI 48097. (810) 543-0173. Mid Mitten Sustainable Farm LLC is using cutting edge farming practices to create a local food ecosystem. We manage traditional livestock in cooperation with nature. Adaptive multi-paddock grazing allows us to grow excellent meats on pasture while restoring soil fertility for future food production. We are going further and planting trees in our pastures to establish a savanna with fruits and nuts to feed pigs and chickens and grass to feed cows and sheep. Pastured Pork – Pigs raised on pasture and finished on lush spring grass. Woodland Pork – Pigs raised on pasture and finished on acorns, walnuts, and hickory nuts in the fall. 100% Grassfed Beef – Daily fresh pasture makes tender, marbled beef, while keeping our pastures productive. Lawnmower Lamb – 100% Grassfed. Sheep replace cattle in the tight spaces on our farm. Pasture Purifier Eggs – Our egg laying chickens follow our sheep and cows and help maintain healthy herds. Our belief is that sustainable farming must build soil, minimize nonrenewable energy inputs, keep water and air clean, and produce safe food with everything our bodies need to be healthy. Every decision we make in operating our small farm is centered on these core values. We use no synthetic chemicals or fertilizer. We don’t till—we don’t own a tractor. We don’t feed hormones, antibiotics, chemical dewormers, or any other junk. As we restore the natural productivity of our soil, we remain committed to extending our grazing season to eliminate our dependence on hay and to continue growing fruits and nuts to replace the annual grains in our pig and chicken feeds. Why choose Mid Mitten Meat? It’s cleaner. It’s healthier. It tastes better. Mid Mitten Sustainable Farm LLC, Todd Geurink, 4525 S Lincoln Road, Mount Pleasant, MI 48858. (616) 723-2153. Middlebrook Farm, located east of Chicago, in Harbor County Michigan, was established in 1844. We purchased the 22-acre property in 2005. In December 2007, we left the city to live on the farm full time. Our mission has been to return the land to the biodiversity of the past, and to raise happy, healthy animals using the pasture rotation method. With pregnant cows, a bull, steers, one llama, numerous cats and two bee hives, our lives are full. We raise Lowline Angus for beef and breeding stock. We believe animals should be raised entirely on their natural diet. Our cattle graze pastures of grasses, clover and alfalfa. In winter, they eat lots of hay!. We use no chemicals on pasture, and our animals receive no added hormones or antibiotics. Studies show that 100% grass-fed beef are lower in total fat and cholesterol. It is higher in omega-3s, CLA, vitamin E and beta-carotene. Good things come from pasture salad mix! Our beef is USDA inspected, processed and frozen in individual packages. It is priced per pound. We sell direct to you from our farm store. Honey and eggs are also available. We are happy to e-mail a price list. Call to pick up beef or to visit the farm. We deliver in the Chicago area. We'd like to introduce you to our "happy" cows! Middlebrook Farm, Bob and Janet Schuttler, 6678 Forest Lawn Road, Three Oaks MI 49128. (269) 756-9778 or (269) 357-5162. M'Organic Meadows Meats & Poultry is a small family farm dedicated to the all natural production of the healthiest, most succulent meats and poultry nature allows. We strive to be more than organic.... we are M'Organic! We have a Farm Share Program.This works just like a CSA for meats, poultry and eggs. Share members purchase a share of the harvest for the year for their animals. Animals are then bred, purchased and/or reserved for their consumption. What does this mean? Our beeves, swine and lamb are reserved for Share Members in advance. Turkeys and chickens are bred for each member's consumption and some chickens are purchased as day-old chicks, only eating our food. Share members select which share best suits their monthly meat consumption needs. The monthly room and board fee is based on this share size and covers our 24/7 labor, fencing, shelters, hay, feed, fuel, processing, smoking, curing and packaging of their meats and poultry and any other expenses incurred while raising your meat. You will receive a seasonal variety of Beef, Lamb, Pork, Turkey, Chicken and perhaps duck or rabbit. Holiday meats are also available. Essentially, we are your own private farmers. Our chicken, turkey and pork is also available for public sale. We have several delivery locations and can take on two more for 2013, so if there isn't one in your area, call Stephanie to discuss. Our FSP runs from July 2013 until March 2014. Sign Up is March 1, 2013 until April 30, 2013. Go to our website for more details and to sign up! Shares are limited! First Come First Served! M'Organic Meadows Meats & Poultry, Mailing Address: 15695 Behling Rd. Albion, MI 49224, Physical Address: 15695 Behling Road, Concord, MI. (517) 358-8540. Oak Moon Farm produces grassfed lamb and pastured eggs. Lamb is sold by the whole or half carcass. Lambs receive no grain at any point in their development. Pregnant ewes may be given some grain during extreme weather conditions. Oak Moon Farm, Jack Knorek, 22544 20 Mile Road, Olivet MI 49076. (269) 781-3415. Welcome to Old Pine Farm. We are a small farm located in the Chelsea/Manchester area. We produce great tasting, naturally raised, wholesome meats from animals raised on grass, organic feeds, sunshine, and clean water. We offer beef, pork, lamb, and chicken. Our steers are raised on natural hay and grass, our hogs and pastured chickens are fed certified organic feed (or non-GMO grain). We offer quarters and sides for those who would like to stock your freezer. Our animals are compassionately raised from start to finish. For more details, please visit our website and contact us by e-mail. Old Pine Farm, Kris H, Manchester MI 48158. Providence Farm is an 82-acre family-owned, USDA Organically Certified farm in NE Indiana (a short drive from the Michigan state line) that produces small quantities of superior quality all-natural pastured meat (beef and chicken). Pastured Pork – our flagship product, 80% of diet from pasture, remainder from spent brewing grain and non-GMO corn. Chicken – most pastured chicken take 8 weeks. We grow ours much slower, about 12 weeks, and it shows in the healthier yellow fat. Or, visit us and get a tour and a discount for buying right from the farm. At Pure Meadow Farms we take the back-to-basics approach to raising our 100% grass fed beef. From birth to finish, they enjoy a blend of grasses and are never given any GMOs, grains, corn or fillers of any type. They are not given any antibiotics or hormones for growth enhancement. We use sustainable and rotational grazing practices. Our animals are humanely treated and are not confined. We feel the practices we have in place benefit the health of the land, the animals, and the people, guaranteeing the consumer a true, pure, premium product. Our farm is certified in the Michigan Agriculture Environmental Assurance Program (MAEAP). Our product is processed at a local USDA facility. Here at Pure Meadow Farms, we feel it is important to know where our food comes from, what it eats and how it lives. We offer bundle packages, individual cuts (upon availability) and whole animal pricing. You may find us a local farmers markets, by contacting us on our website, email, or phone. Product can be picked up at our farm, our processor, or delivery can be requested. Pure Meadow Farms, Michael and Linda Klooster, 6573 East N Avenue, Kalamazoo, MI 49048. (269) 381-2566. RC Organic Farms offers fresh in-season produce through our CSA shares. Our farm has been certified organic for 20+ years! We are very proud to be a safe harbor for thousands of bees, butterflies, plants and birds. Each year we share our harvest with over 100 CSA families. Visit our website to learn more or join. In addition to the CSA vegetable garden, we seasonally raise high quality, farm fresh chickens and turkey the way nature intended …on green pasture. We also farm the sun! In 2011 we added solar power panels to the farm. These solar panels enable us to generate ALL of our own power and enough to share with our neighbors as well. We are excited to be Macomb Counties only SOLAR-POWERED CERTIFIED ORGANIC FARM. RC Organic Farms, Jacqueline and Steven Good, 37400 30 Mile Road, Lenox MI 48050. (989) 550-5223. Experience the satisfaction of knowing your food and your farmer. We are your clean meat connection. 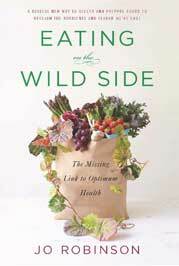 “You are what you eat eats.” ~Michael Pollan, In Defense of Food: An Eater’s Manifesto. THE ANIMALS: Our Chickens and Pigs have constant access to fresh, clean, diverse pasture, water, and plenty of sunshine. They spend their day eating grasses, roots and small plants as well as pecking, rooting, and scratching for grubs, worms and bugs. To satisfy their protein requirements, we supplement their diet with locally milled, non-GMO grains. This simple idea is what we call “pasture raised.” Nutritionally, the Chicken, Pork and Eggs offer higher Omega 3 fatty acids, CLAs, Beta Carotene and Vitamin E, and far more Vitamin D than their commercially raised counterparts, providing you with the purest foods from healthy animals on healthy land. Our animals live a natural and happy life – FREE of vaccinations, chemical de-wormers, and growth hormones. Not certified organic... but Beyond Organic. Your food should be this good! THE FARM: Resonance Center Farm is family-owned, pasture-based, beyond organic, overlooking beautiful Mullet Lake in Pure Northern Michigan in Cheboygan County. Our philosophy is that happy animals doing what nature intended them to do (foraging, socializing, digging, scratching, catching bugs) provide healthier meat and eggs. We believe animals should live a natural life, be treated humanely and with respect. Resonance Center Farm, 6773 North M-33, Cheboygan, MI 49721. (231) 445-2406 ask for Debi. Rocky Oak Farms is located in Albion and Chelsea, MI. We serve all surrounding areas including Battle Creek, Ann Arbor, and Lansing. We raise 100% grass-fed beef, pastured pork and pastured chicken. As 4th generation farmers, we understand that consumers today demand high quality meat that is free of antibiotics, added hormones and steroids. That is exactly what you get when you purchase from Rocky Oak Farms. Our animals are pasture-raised in a sustainable, stress-free environment just as nature intended. Years of experience has shown us that this system produces healthier cattle, pigs and chickens and leaner cuts of quality meat. Our goal is to create quality meat that people can obtain locally and have peace of mind knowing where their product is coming from and how it is raised. By using sustainable practices we have healthy animals, happy customers, and are creating a healthy environment for future generations. Our beef is offered in sides or individual cuts that are on hand all year round. Pork is offered in sides and birds are whole. We also sell in a few different stores: The New Chelsea Market, 1060 S. Main Street, Chelsea, MI and Argus Farm Stop, 1200 Packard, Ann Arbor, MI. Go to our website for more information on our farm and pricing. We look forward to meeting you! Rocky Oak Farms, Becky Heim, 6850 Hoag Road, Albion, MI 49224. (517) 490-3902. Sand Lily Farms is a 15 acre grass farm in South West Michigan near Lake Michigan. We finish Stocker Cattle on a diet of pasture/grass and a small amount of sweet feed used to help us move the cattle. We get the animals in the early spring and they are ready for pick up usually in September or October in Holland MI. The beef is dry aged and cut to your specifications. We sell a mixed quarter so you can get some of all your favorite cuts. The sweet feed is a grain-based product that is fed periodically to help us move the cows from one area to another. (We have sandy soils and the rotational periods must be longer.) It is necessary to cross a road to utilize all of our pasture and the sweet feed is used as bait to persuade the cows to cross the road. We do not use growth hormones or antibiotics. We take a deposit for each quarter of beef of $125. Current price is $3.50/lb. hanging weight. Sand Lily Farms, Mark and Kim Ludwig, 5920 115th Avenue, Fennville MI 49408. (616) 240-7135. Schneider Organics: Our heritage breed Dutch Belted beef cattle are raised on our family farm from birth until slaughter. We are certified organic and use permaculture practices to properly care for the land our Lord has entrusted to us. We are truly natural and do not dehorn or castrate our animals. Calves nurse their mothers for 10 months. Our winter feed is harvested from our pastures, which are no longer plowed but allowed to grow native forages. We feed no corn or soy and use no supplements except sea salt. Because we are organically certified, we never use GMOs, hormones, pesticides, insecticides, or any other prohibited substances or practices. We take seriously our commitment to the care of our world for future generations. Schneider Organics, Jamie Schneider, 15689 Pratt Rd. Westphalia, MI 48894. (989) 587-6941. At Serendipity Farms, our methods and production practices exceed organic standards, therefore we decline the certification. We are proud to be able to offer Meats, Eggs and Herdshares that are 100% SOY-FREE/ Non-GMO. First and foremost we have an open door policy at the farm because we believe transparency is essential to accountability.This means anyone can view any part of the farm at anytime. We use intensive pasture management, rotational grazing and multi-specification of pastures to deliver the highest quality, cleanest and most nutrient dense food possible. We make great distinction between the term "free range" as opposed to our past ured products, simply emphasizing the daily rotation of the animals in a symbiotic and natural sequence. Our poultry are only locked up at night for their safety; during the day they are free to free-range on pasture—much better and healthier for the animal and earth. We are also Animal Welfare Approved with our layers and soon to be our Pigs (pork), Broilers (chickens) and Turkeys. Serendipity Farms, Wendy Babcock, 3741 Grange Hall Road, Wolverine MI 49799. (231) 357-4001. Sunshine Meadows Farm is a small, family farm utilizing organic practices in raising our food and animals. We have a mixed flock of chickens and sell brown, green, white and chocolate eggs in mixed dozens, year-round. Our chickens enjoy spending their days out on pasture that is free from pesticides and herbicides, with lots of bugs and tidbits to eat. They choose to roost in their coop when the sun sets at night which protects them from predators. Grains that are free of by-products, antibiotics or hormones is offered free choice. Spring of 2008 we will be be transitioning to 100% organic grain to supplement their pastured diet. Fall of 2008 should see the addition of duck eggs, too. Chickens eggs are $3/dozen. Also available from May-September 2008 is a variety of vegetables grown in an organic method. Check out our web site for availability updates or feel free to call/email. Hours vary, so please call/e-mail first so we don't miss you! Closed Sunday. Sunshine Meadows Farm, Lorij and David Schmick, 2610 Cook Trail, Ortonville MI 48462. (248) 464-1825. Triple B Heritage Farm is a small family farm in Mio, Michigan, raising Heritage Breed Pigs on pasture resulting in a great product for our customers to enjoy. Also, selling pasture-raised chickens and 100% grass fed beef and lamb. Triple B Heritage Farm operates as a non-certified organic farm but strives to produce a product beyond organic standards. Our Heritage Breed Pigs produce outstanding quality meat with exceptional taste. The beef and lamb is 100% grass fed on local farms operated by friends and family with the same high quality standards of healthy living. The chickens are a Heritage Breed, raised on pasture and fed with organic grain resulting in great taste and quality. All these are available at our farm for the convenience to our customers. Delivery of our products may be arranged. We look forward to being a service to you. Triple B Heritage Farm, Robert, Becky and children, 1547 W. Cherry Creek Road, Mio, MI 48647. (989) 826-5410. Two Rivers Farm raises 100% grass fed Angus beef in Ada, MI. We are committed to humanely raising healthy grass fed cattle from birth to harvest. We are not certified organic, however, we are committed to complete transparency with our customers regarding our farming practices. Two Rivers farm has a retail store located on the farm in Ada, and we also sell whole, half, and quarter beef. Free local delivery. We understand the importance of knowing and trusting your farmer, so stop by and check us out! Two Rivers Farm, Karly Sikma, 1296 Egypt Valley Avenue NE, Ada, MI 49301. (616) 915-5904. Unger Family Farms is a grass-based operation here in Lakeview, Michigan, located 40 miles north of Grand Rapids in Montcalm County on a fifth-generation family farm. We offer pasture-raised Cornish cross meat chickens, that are antibiotic and hormone-free and offered non-GMO supplemental grain. Currently available fresh from June through October. Our chickens are succulent and tasty! Hogs (pork) are available in whole or halves. They have the ability to root and also are fed non-GMO feed. Pasture-raised turkeys are available two weeks before Thanksgiving with your pre-order. Pasture-raised lambs are a hair sheep which do not contain lanolin so there is no mutton taste to the meat. Also available are eggs from our pastured laying hens. Please visit our website for more information on our farm. We welcome visitors! Unger Family Farms, Joe Unger, 11503 Kendaville Road, Lakeview, Michigan 48850. (231) 437-0733. We raise 100% grass fed beef on our succulent, improved pastures. We pasture-raise top notch pork and broiler chickens while supplementing them with our own farm-raised grains. We raise all of our own hay and barley sprouts and do not use any vaccinations or antibiotics in the products we sell. Working with other like-minded farming families, we offer 100% grass fed dairy products through a herd share program, rich green pasture eggs, 100% grass fed lamb, free-range turkey and duck, as well as chemical-free produce, honey, maple syrup, and many other wonderful, locally-produced farmstead kitchen products! We have a great, small scale, inspected, cheese house producing 100% grass fed, A2, raw milk cheeses located close to us, whose cheese we market, as well as an organic berry producer, making wonderful organic jams and jellies. We also offer soaked-grain sourdoughs and other breads, baked in a wood-fired oven from ‘Anna’s Bread’ in Goshen, IN. We are proud members of the Westin A. Price Foundation, Slow Foods USA, Goshen Farmers Market, and other small farm supporting organizations. We are blessed to be able to provide this variety of quality food choices to our family and are happy to offer it to our many customers! Vintage Meadows, Ryan or Katrina Schrock, 14855 State Road 4, Goshen, IN 46528. (574) 361-9737. Windswept Farm Katahdin Sheep. Our grassfed lambs spend their lives grazing clean, chemical-free pasture. They receive no grain, no growth hormones and no antibiotics. Of course, winter in Michigan means snow-covered pastures, so the ewes get alfalfa hay. Lambs are born in early spring and become interested in feed other than mother's milk just in time for the spring pasture. They spend the warm summer months grazing and are finished by fall. The meat from our Katahdin lambs is incredibly mild, lean and tender. Dressed weights run between 48 and 65 pounds. Meat is cut and wrapped to your specifications. Local delivery (within 50 miles) can be arranged. For smaller amounts, or for specific cuts, please contact us. Visitors are welcome. Windswept Farm Katahdin Sheep, 3649 E. Sherwood Road, Williamston MI 48895. (517) 468-2246. Updates posted to page 4/16/19.